experienced working with many types of signs including routed aluminum faces, flexible faces, and polycarbonate or acrylic face signs. Heights are not an issue, we have experience at all sign heights and locations. S.M.L. represents many different electronic message center manufacturers including Daktronics, Watchfire, Zip Vision and more. Our experience of installing and maintaining these displays, ensures the job will be done right the first time. We can build the display into your sign, and work within local city ordinances to ensure the sign will meet all necessary codes. S.M.L. also employs certified technicians that ensure a simple installation and operation of your display. Basic operational training is provided with the display. L.E.D. & Neon lighting- S.M.L. uses the latest L.E.D. technology in its signs. We work with several of the top L.E.D. manufacturers, including G.E., Sloan and US Led to ensure the highest quality products for our customers. 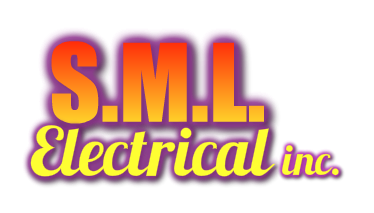 We also have the capability to produce any type of neon sign requested and we have the knowledge to safely and correctly install the sign. We also offer many different types of building and perimeter lighting. Channel letters-S.M.L. offers an all aluminum channel letter, custom made using computer aided design and manufacturing. These letters can be illuminated with neon or L.E.D. This type of sign is one of the most common signs on the market today and are a very effective way to advertise your business. Vinyl and Digital Graphics – S.M.L. offers vinyl and graphic services, including cut vinyl graphics and lettering, digital printing, banners, POS signage, vehicle wraps, and more. Contact us today to see how we can help make your business grow with our graphics!